It’s a new year and I would like to introduce a new segment to my blog. A passion for caring… one thing that helps a big small on my face is helping others. So this monthly segment will be a highlight of awareness to a cause each month of the year. It is my goal to educate and inspire other how to get involved. 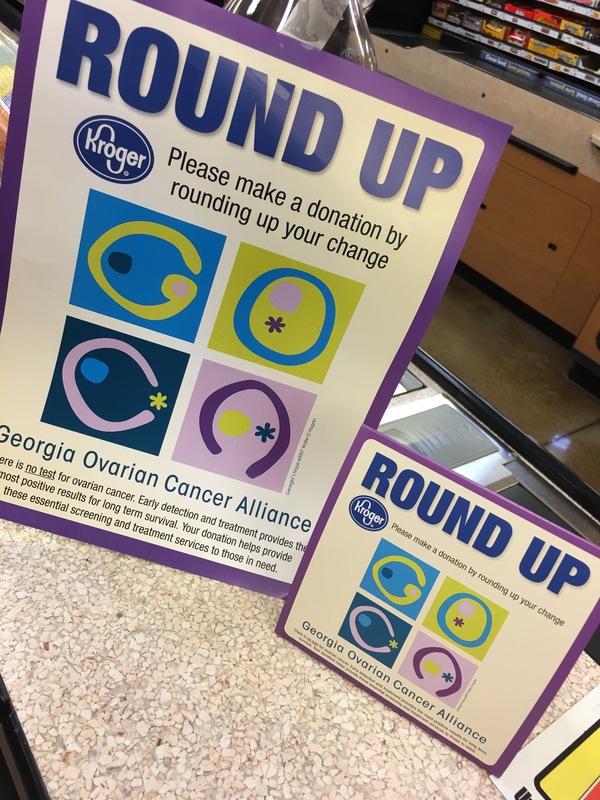 As I was at the check counter in Kroger, the cashier asked if I would like to round up my total to donate to Georgia Ovarian Cancer Alliance for research. Of course, I did. It warmed my heart to see a national grocery store chain education the community and making a difference. So if you are shopping in Kroger, I encourage you to ROUND UP and support the cause. The Georgia Ovarian Cancer Alliance promotes awareness and action for ovarian cancer and help those battling ovarian cancer. The alliance hopes to educate women on the signs and symptoms of the disease.